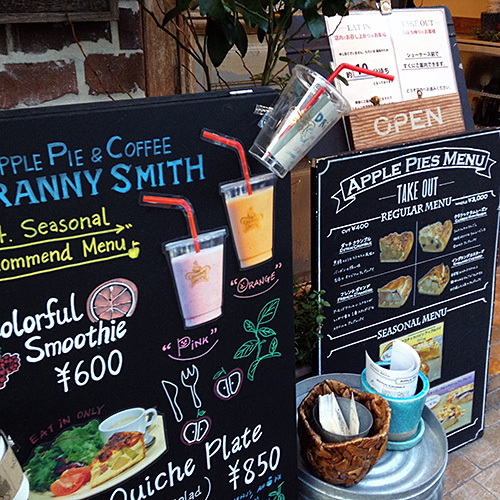 Granny Smith Apple Pie & coffee is an apple pie speciality shops in Aoyama & Mishuku. 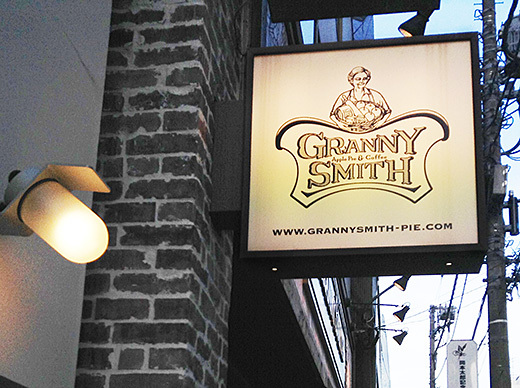 The shop name is came from one of the famous green apple cultivar. 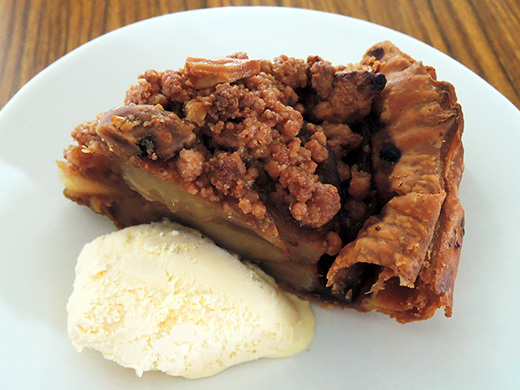 In Japan, this green apple is not popular yet. 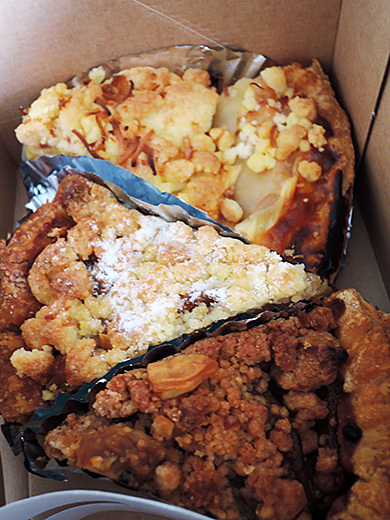 I got “Dutch Crumble”, “Classic Rum Raisin” and summer seasonal flavor “coconut pineapple apple pie”. 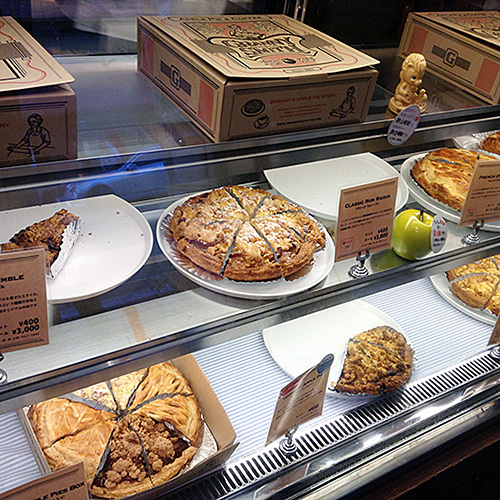 The cafe is still very crowded, so I ordered all of these pies to go.